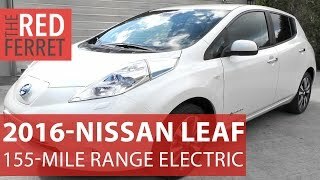 Marking presence since 2010, Nissan Leaf from its buyer’s perspective needed an upgrade and it looks like finally Nissan decided to work over it. With upgraded performance figures and some new tech features the all new Nissan Leaf 30KWh 2016 is set to rumble the streets. 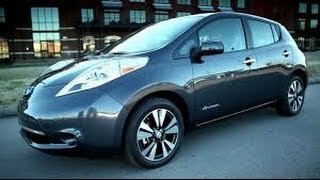 Let us have a descriptive look at the review of Nissan Leaf 30 KWh 2016 to know in detail about them. The interior of Nissan Leaf 30 KWh 2016 received a special attention in terms of comfort and technology. There is an upgraded entertainment system mounted in the cabin. The system includes a five-inch color display featuring audio streaming, hands-free text messaging, NissanConnect and Bluetooth connectivity. The NissanConnect includes Facebook, Pandora and iHeart Radio to keep your ride joyous. There are two trims defining the interior details of the model; SV and SL. Each of these trims has everything for the buyer’s entertainment and I believe that the tech upgrades will undoubtedly make the model take a lap ahead in comparison to its predecessors. Thus I’ll end up the interior details of Nissan Leaf 30 KWh 2016 by saying that the effort of the company is worth the time and money. 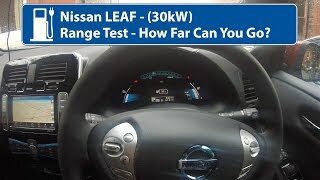 Unlike its interior, the exterior of Nissan Leaf 30 KWh 2016 doesn’t receives any change. Yes, despite of the fact that Nissan do provide a facelift to its models after every four to five years, this model didn’t receive any change. Upfront we have the same massive headlights making their way to almost the entire hood while the sloping hood and the minute grille, are the same. Moving towards the rear fascia things are again the same as in the predecessor model. This personally I believe might prove to be a backdrop as the exterior changes leave the first impression and there has to be something that makes the new buyers distinct from the old ones. 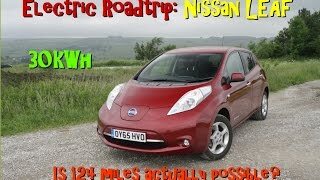 In all there isn’t anything special to talk about the exterior details of Nissan Leaf 30 KWh 2016 as the company didn’t give us anything new to talk upon. This is where you’ll find the major upgrade and the fact that company is actually proud about. 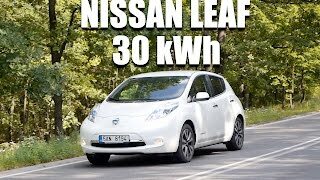 The new Nissan Leaf 30 KWh 2016 is powered by a High-response 80 kW AC electric motor and is housed with a 24 kWh or 30 kWh laminated lithium-ion battery delivering total output of 107 hp and peak torque of 254 nm paired to Single speed reducer transmission. Talking about the performance figures of Nissan Leaf 30 KWh 2016, the model delivers 126 mpg in city and 101 mpg on highway.